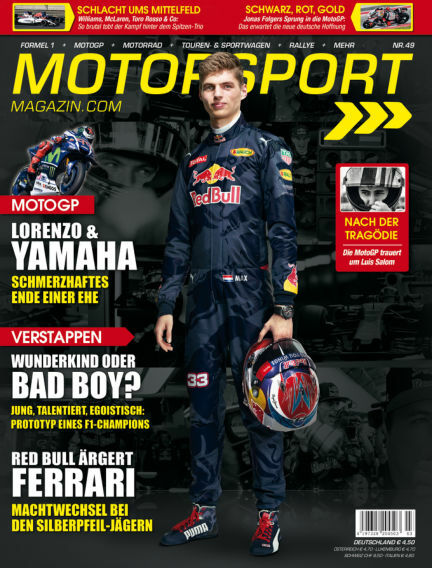 In this issue of Motorsport-Magazin : Formel 1: Max Verstappen - Wunderkind oder Bad Boy? - MotoGP: Lorenzo & Yamaha – Ende einer Ehe - u.v.m. With Readly you can read Motorsport-Magazin (issue 49) and thousands of other magazines on your tablet and smartphone. Get access to all with just one subscription. New releases and back issues – all included.